For projects that require increased lift height, reach and capacity Bobcat offers the VersaHANDLER® telescopic tool carrier. 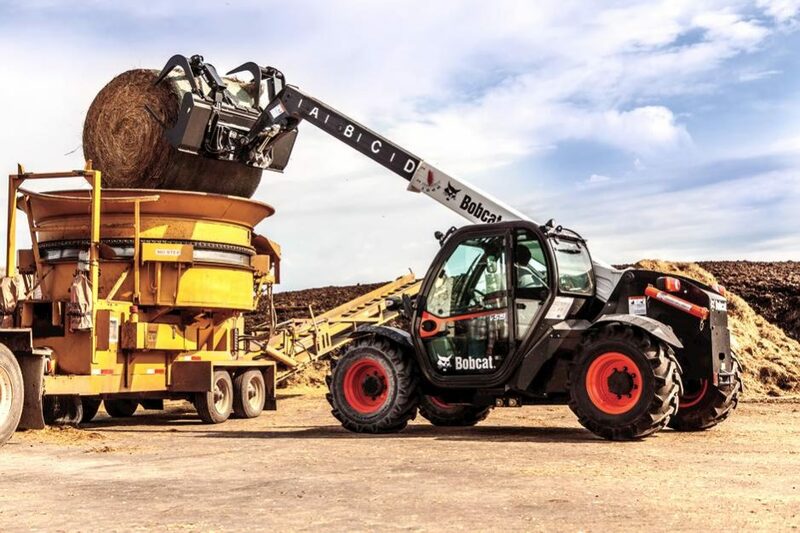 Commonly known as a telehandler, it delivers many of the same functions of a wheel loader, an attachment carrier and a rough-terrain forklift. To get the most out of the VersaHANDLER, we paired it with Bob-Tach® interface allowing for more attachment versatility. It will quickly become a favorite machine for, farming applications, rental, construction sites, landscaping companies, and snow removers.